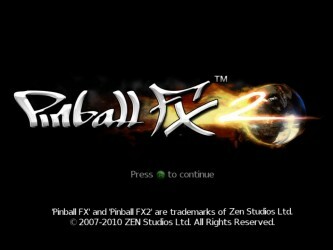 Pinball FX 2 (XBLA) Contest Winner! And Tournament! The results of our Pinball FX 2 contest are in! Our thanks to everyone who retweeted and commented. As before, we entered both the twitter and comment entries into a numbered list and deployed the mighty RNG to pick a winner. Thus, the lucky winner of our the third and final BrainLazy Giveaway is the one, the only, Metatron! The RNG must have really liked you, because we did an unofficial, off the record followup roll to make sure it was being fair, and it picked a different number… that just so happened to be Metatron’s twitter entry! Spoooooky… But anyway, congrats! We’ll be contacting you shortly to provide your XBLA codes. But wait, there’s more! Just to make this even more interesting, we’ve just received word from the folks at Zen, makers of this game, that their first official tournament is underway! That’s right, running until Dec. 7th, Zen Studios is looking for the highest score on their Secrets of the Deep table in Pinball FX 2. The winners score a code for Marvel Pinball. All you need to do to enter is select the tournament icon in the Pinball FX 2 menu. Who know’s maybe the winner of our little contest will take the gold and end up with an extra pinball table? I promise I’m not a witch, I’m you! Thank you very much guys! This game is fricking awesome! Finally a new game I can play with my casual gamer friends. In addition this is also the perfect game to chill out after all those exciting rounds of COD:BO and BFBC2, so once again from the bottom of my heart, thanks to you & to the lovely guys and gals over at ZEN Studios!